Triple Berry Tiramasu - GetCooking! 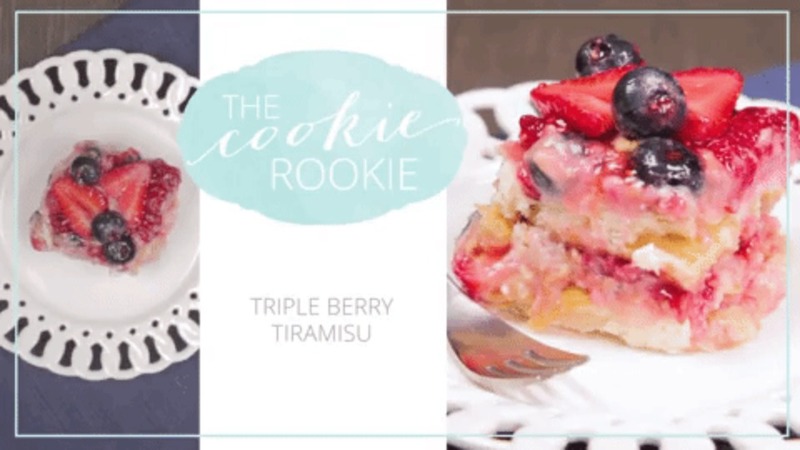 The Cookie Rookie’s – Triple Berry Tiramasu recipe. Strawberry Tiramisu with Blueberries and Raspberries is a delicious triple berry dessert! This fruity tiramisu recipe is sweet, beautiful, easy, and SO delicious. It’s the perfect easy dessert recipe for Valentine’s Day, 4th of July, or any other day of the year! We’d love to hear your feedback on this video recipe format in the comments section below! If you used this video to make Triple Berry Tiramasu, please tell us how it went! View the original recipe notes here: The Cookie Rookie’s – Triple Berry Tiramasu.